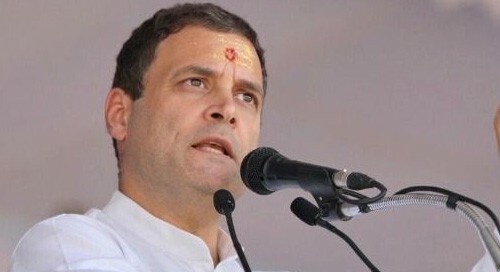 Bhopal, Oct 30 (IANS) Madhya Pradesh Chief Minister Shivraj Singh Chouhans son Kartikey on Tuesday filed a defamation case against Rahul Gandhi who linked his name to the Panama papers but the Congress President clarified that he had got "confused" due to "scams" in BJP state governments and was actually referring to the son of Chhattisgarh Chief Minister Raman Singh. Gandhi's faux pas during a rally in poll-bound Madhya Pradesh on Monday has become a political issue with Chouhan and BJP leaders commenting on it. "So many scams have taken place in BJP state governments that I got confused. The name of son of Madhya Pradesh Chief Minister is not there in Panama papers. But Vyapam and e-tendering scams have taken place in his rule," Gandhi said. The Panama Papers refers to the leak of millions of files from the database of the world's fourth biggest offshore law firm Mossak Fonseca that helped in setting up off-shore entities. Shrivastava said that Chouhan and his son have nothing to do with the Panama papers leak case. He said media clippings and a video of Gandhi's remarks have been submitted with the complaint. Addressing the rally, Gandhi had said that the name of Chouhan's son is there in the Panama papers leaks. He had said that a Prime Minister of Pakistan lost his post on this issue "but nothing happened here despite name of son of Madhya Pradesh Chief Minister being there". "Rahul Gandhi is not a small or a street-level leader. Hence the remarks would not have been made without thought," he said.